If your dentist has suggested the pinhole surgical technique in Denver to help restore the health of your mouth, you may have questions about this minimally invasive gum treatment procedure. 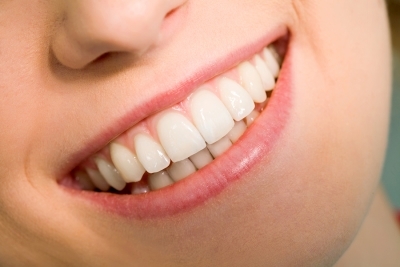 The health of your gums is essential for the overall health of your mouth. A portion of each of your teeth is protected by your gum tissue but over time, it’s possible for the gums that cover your teeth to pull backward or wear away. This process exposes more of your tooth and makes your mouth more susceptible to sensitivity, periodontal disease, tooth decay, infection, and tooth loss. This common condition, referred to as gum recession, can be treated using the pinhole surgical technique. Some causes of receding gums include a lack of dental care, tooth grinding, periodontal disease, aging, aggressive tooth brushing, hormonal fluctuations, and genetics. The pinhole surgical technique can be used to treat most patients who are experiencing gum recession and are in otherwise good oral health. The pinhole surgical technique is minimally invasive and requires no grafts or incisions. To complete this procedure, dentists use a needle to make a small hole into the patient’s gum tissue. Next, he will loosen the gum tissue around the teeth by inserting special instruments into the hole. Finally, he will adjust the loosened tissue to cover more of the tooth and restore the natural position of the gumline. Pinhole surgery can provide you with more confidence when you laugh or smile by restoring the natural look of your gumline, and can also help prevent oral health problems caused by receding gums. Compared to traditional gum grafting procedures that are used to treat receding gums, pinhole surgery patients experience less discomfort and reduced recovery time. This minimally invasive procedure is a relatively simple treatment that requires no sutures, large incisions, or donor tissue to complete. The pinhole surgical technique provides many patients with excellent, long-lasting, and natural-looking results.